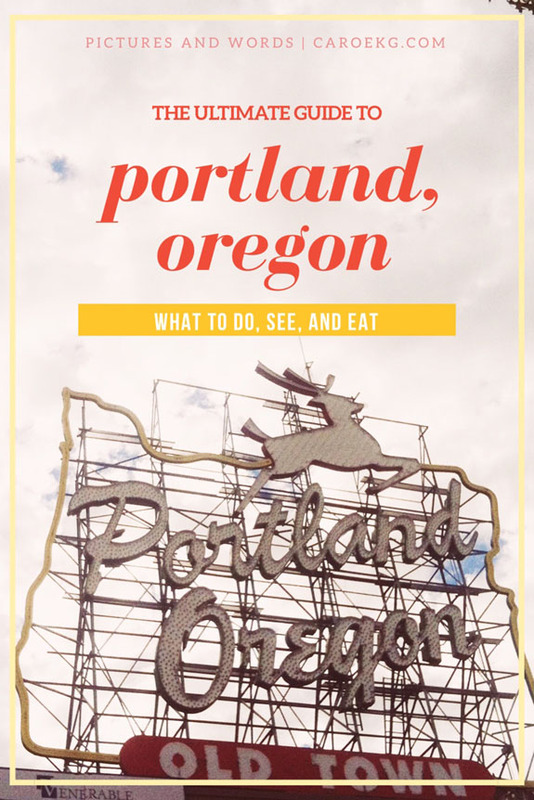 Planning to spend 2 days in Portland and wondering what you should do, see, and eat? 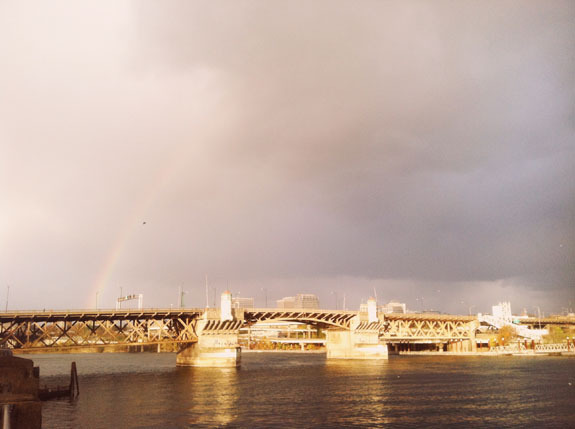 Keep reading to find out all the cool things to do in Portland, Oregon! Ah, Portland...it is every bit as weird (their slogan is "keep Portland weird, after all), wacky, and hipster as the show Portlandia portrays it to be, but it is also such a beautiful, vibrant city with a laid back PNW vibe. The city is known for coffee, its eccentric yet hip locals, beer, donuts, the greenery, and views of the Willamette River and surrounding mountains. Because Portland is only a one hour flight away from San Francisco (aka home), it has become one of my favorite places for a weekend getaway. Basically, I decided to write this post because I am itching to get back ASAP (currently stalking some cheap flights as we speak). 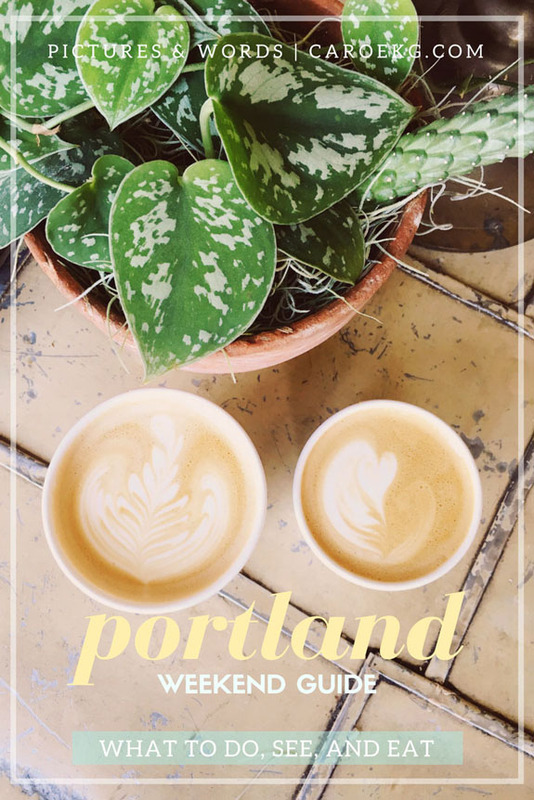 It also has a strong cafe/coffee culture, and is a foodie paradise - one trip to Portland, and you may just find yourself transformed into a food and coffee snob, going on about single origin beans and farm to table and all that good stuff. Anyway, food and coffee are two things I love, especially when I travel, so of course Portland has become one of my favorite places to go! Portland has your classic Pacific Northwest weather - lots of rain 9 months out of the year, with perfectly pleasant summers. The good news is that when it rains, it never rains very hard - most of the time it is more like a misty drizzle. June-August are definitely the best times to go, with warm, sunny, and long days. Portland is a perfect city for being outdoors, and the summer is definitely the best time to take advantage of this. This is also when all the roses at the International Rose Test Garden are at their peak, and when the roses are in full bloom, it is a beautiful sight (scroll down to read a bit more about this). There are also many outdoor festivals, concerts, and events during the summer months. The downside of being there in the summer is that it is Portland's high season, and airfare and hotel rates tend to be at their highest. Going during shoulder season is also a great option - the city is beautiful when all the flowers are in full bloom in the springtime, and it becomes transformed with all the foliage in the autumn. It may be gloomy and dreary if you go in the winter, but even then, temperatures are mild compared to many other cities in the winter - average highs are in the 40s-50s. It does occasionally snow in the winter, but significant snow is a rare event. Portland is served by Portland International Airport (PDX), which sits about 10 miles outside the city and has flights to many destinations all over the United States, along with several international cities. PDX was actually named the best domestic airport by Travel and Leisure magazine, praised for its easy navigation, efficient security lines, and notable dining options. Did you also know that in Oregon, it is apparently illegal to jack up prices just because you're at an airport, so there are no $4 bottles of water here? Yeah, I can definitely get behind that. It is super easy to get into city center from PDX - just follow the signs out of the terminal to get on the MAX Red Line light rail, and you will be dropped off in downtown Portland in 40 minutes. A one-way fare is $2.50, which also makes it a cost-effective option for getting to city center. Portland is also served by Amtrak, which provides train service to Seattle and Vancouver to the north via its Cascades route, and as far as Los Angeles to the south via its Coast Starlight line. It is about 3 1/2 hours to Seattle and 8 hours to Vancouver via train, and 31 hours to go all the way to LA. I hear the scenery along the train route is pretty spectacular, and it is something that is on my bucket list. Portland is also connected to Seattle via Bolt Bus - this takes about 4 hours, and can cost as little as $1 each way, if you book as soon as fares go on sale. You can also plan a Portland road trip, either driving up from Los Angeles in the south, or from Seattle or Vancouver in the north! Portland is divided up into four quadrants, so it is super easy to navigate just by looking at the address. The city is split into north and south by Burnside Street, and east and west by the Willamette River. Portland's downtown is relatively small and easily walkable. The city is also full of green spaces, which makes walking around super pleasant and enjoyable. Strolling through some of the quirky and unique neighborhoods in the city is also fun (i.e. Alberta, Pearl District, SE Division St., SE Hawthorne, etc. ), and there are many shops and cafes you can wander through. Biking is also a popular way to get around in Portland, and the city has over 350 miles of bike lanes and paths that are designated as "bicycle boulevards." There is even a free bike tour of the city offered by Portland by Cycle. 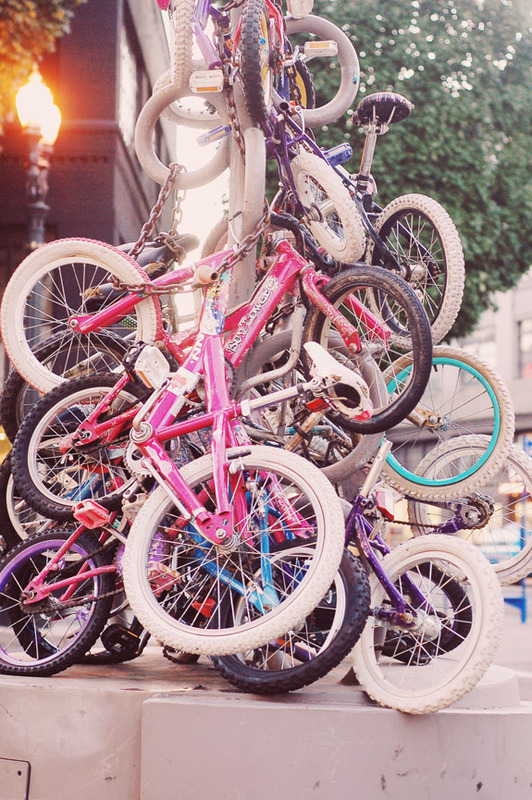 Many of the boutique hotels in the city offer complimentary bike rentals for their guests. There is also a citywide bike share program called Biketown, which offers over 1000 bicycles for rent at 20 kiosks throughout the city. Rates are about $2.50 for 30 minutes of use, and you can use a kiosk, the Biketown website, or smartphone app to reserve a bike. Portland has a relatively easy-to-use public transportation system, and the city highly encourages the use of it. The MAX light rail system is clean and efficient, and can connect you to many of the city's points of interest. The MAX runs every 15 minutes at most hours of the day. Fares are $2.50, and you must purchase a ticket before you get on board. The ticket is good for 2 hours, and are also valid for transfer onto the Portland Streetcar and buses. You can also purchase a day pass for $5 (also can be used on buses and streetcars). You can also take the Portland Streetcar for locations in the Pearl District and near PSU. For other locations, there are numerous bus lines that connect you to many points in the city. Portland is also served by Uber and Lyft. Cars are readily available, and this is also an easy way to get around the city. If you want to hit up locations outside of the city (Columbia Gorge, mountains, waterfalls, etc. ), it is a good idea to rent a car. Oregon has no state sales tax, so take advantage of it and shop away! Accommodation options in Portland include everything from chain hotels, funky boutique hotels, hostels, and Airbnbs. 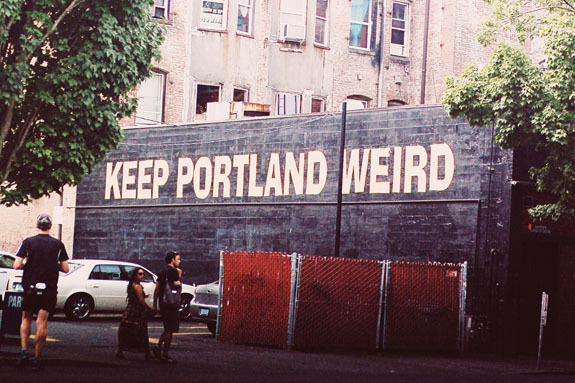 Portland is the home of the popular Ace Hotel, which is known for their signature hipster chic digs. I have yet to stay at this specific Ace location (but am a fan of the Seattle and Palm Springs properties), but I always pop into here on every trip to grab a coffee at Stumptown next door, check out the cool lobby and people watch, and hop into the photo booth (yes, it's one of the old school ones! ), and would love to stay here on my next trip to Portland. A boutique hotel that I really enjoyed staying at is Hotel Rose, which is conveniently located downtown right next to the waterfront. The property was remodeled a few years ago, and has reinvented itself into a stylish, modern boutique hotel. Hotel Rose has bikes available for rent, which is a great option for getting around and seeing the city. They also have an afternoon reception, coffee, tea, and snacks, featuring their signature pineapple cupcakes - these are the best (and I definitely had multiples)! The vast majority of the hotels in Portland are clustered in the downtown area, along the waterfront, and near Portland State University. Portland is known for their unique, vibrant neighborhoods, so to take advantage of this and to get a more local experience, I would recommend staying in an Airbnb, which are also super affordable. 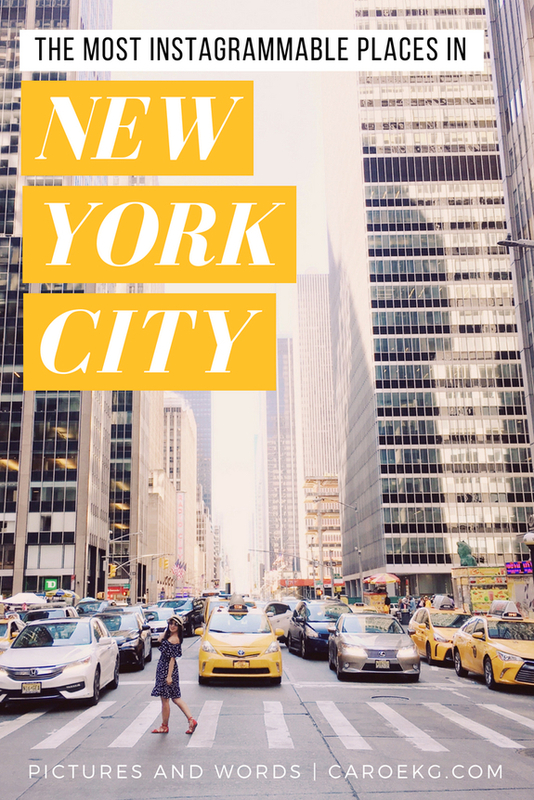 I found that many of the restaurants, cafes, and shops on my list are in these neighborhoods, so it was great to be able to immerse myself into them, and there is always easy access to downtown to check out the main attractions there. 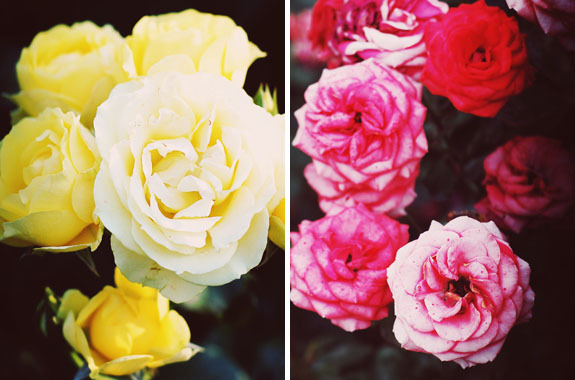 Portland is known as the "City of Roses," and it is home to the International Rose Test Garden, which boasts over 7000 rose bushes. Located in Washington Park, is free, spans 4.5 acres, and is the oldest continually running rose garden in the United States (it opened in 1917). The roses are here are in bloom from April through October, and are at their best in the summer months. 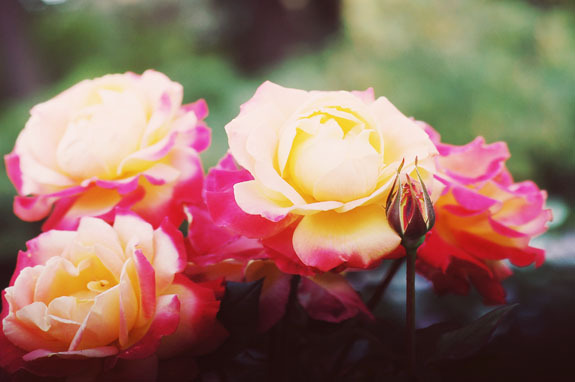 Wandering through the gardens and taking in that luscious smell of the roses is definitely a must-do in Portland if you are in the city during these months. It really puts other rose gardens to shame - I have never seen so many roses in my life! After visiting the International Rose Test Garden in Washington Park, head across the street to the Portland Japanese Garden. The 5.5 acre space is known as one of the most authentic Japanese gardens outside of Japan - having been to Japan many times over the years, I can say that wandering through the grounds here really reminded me of wandering through the gardens in Kyoto. You will definitely get a sense of tranquility and zen while wandering through the stone walkways here. 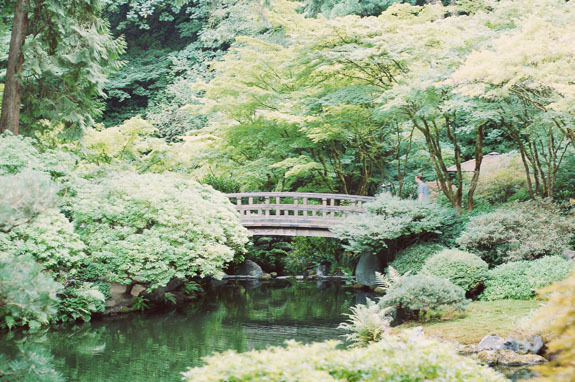 The garden is covered in leafy trees and greenery, with a gorgeous waterfall, pond, bridge, and pavilion. The landscape here is meant to highlight the changing of the seasons. 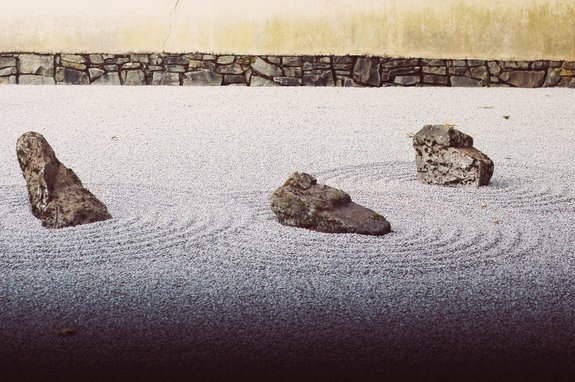 The Stone Garden is also perfect for a moment of meditation and self-reflection. There is also an authentic tea house, and on a clear day, you can see Mt. Hood in the distance. Definitely a great spot to stop by for some peace and quiet in between exploring the city. Okay, sooooo I actually haven't actually been inside the house, but Pittock Mansion is supposed to be an architectural wonder and tells the story of one of Portland's oldest and most influential families. What I came for are the views - the mansion sits over 1000 feet above the city, and there are spectacular views of downtown and beyond On a clear day, you can spot Mt. Hood - you can see it right under the cloud on the left in my photo above. Definitely worth stopping by to check it out, especially if you're a sucker for a good view, like I am. If you're in Portland over a weekend, you should definitely stop by the Portland Saturday Market, which has been in operation since 1974 and is the largest open-air arts and crafts market in the country. The Market is located in Waterfront Park and features over 250 artisans and small businesses selling various handicrafts locally made in the Pacific Northwest region. It is a great spot for some souvenir shopping. The Saturday Market is open every Saturday AND Sunday from March through Christmas Eve. My first time in Portland, I allotted myself 30 minutes to check out Powell's. Two hours later, I walked out after purchasing 5 books. 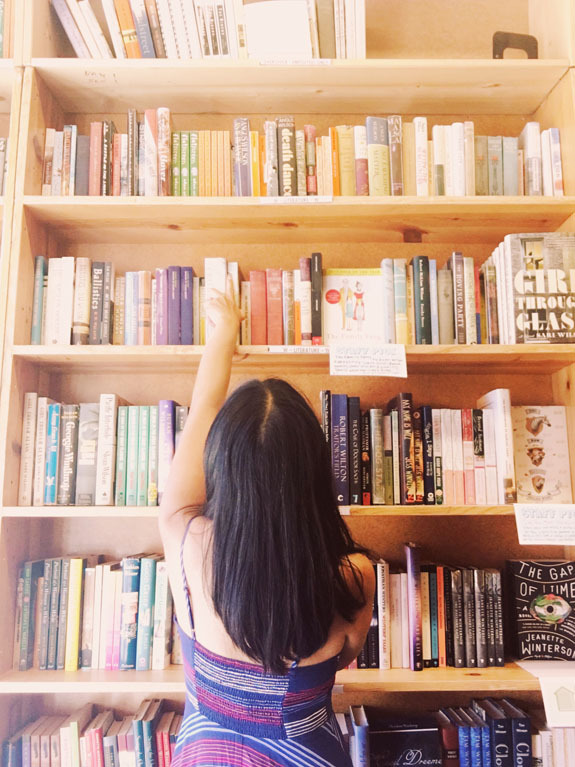 Taking over an entire city block, Powell's is a must for any book lover. Even if you aren't much of a book person, it is worth checking out to see just how massive it is - so much so that they have store maps. Seriously, there's nothing like it. Plan to spend at least an hour here, but don't be surprised if you end up staying longer - I could seriously spend all day here! Portland is home to the most breweries than any other city in the world, with over 75. It is also credited as being a pioneer of the craft beer movement since the 1980s. So, drinking beer here is a must - you can learn more about Portland's most notable breweries here. 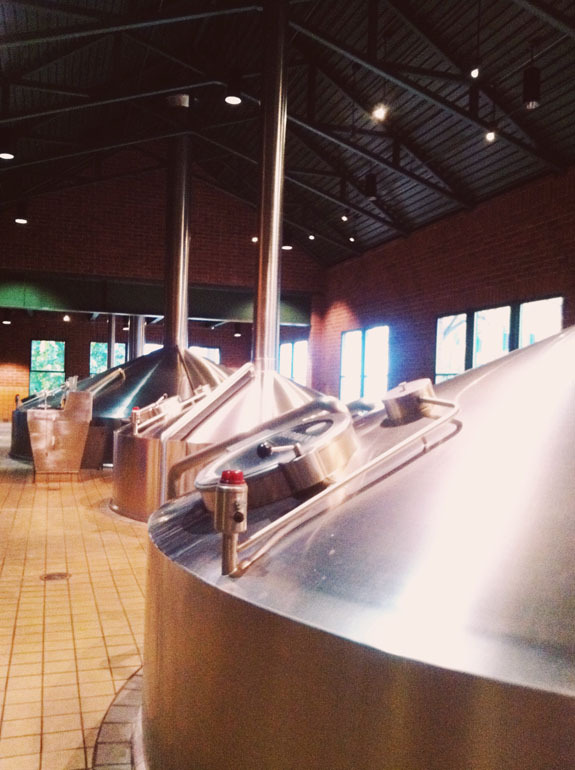 If you want to take it a step further, and learn more about the craft beer movement and brewing process (and you definitely do), you should also take a brewery tour. 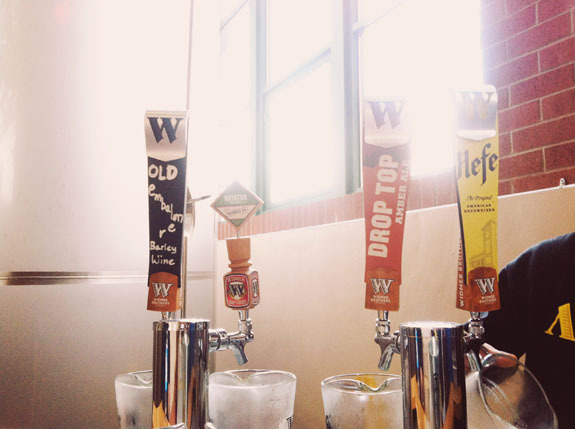 I did the Widmer tour - the tour is free, and you get an insight into the brewing process, the ingredients they use (one of the most memorable parts of the tour was learning more about IPAs and seeing and smelling hops), the history of Widmer, and best of all - they give you free beer at the end. The brewery is currently under construction at the time of writing this post in March 2018, but is scheduled to reopen later this spring - check here for updates. Also check out this 5 hour microbrewery tour. The Portland Aerial Tram connects the south waterfront to the Oregon Health Sciences University campus. It climbs 3300 linear feet at a speed of 22 miles per hour - the trip takes about 4 minutes. 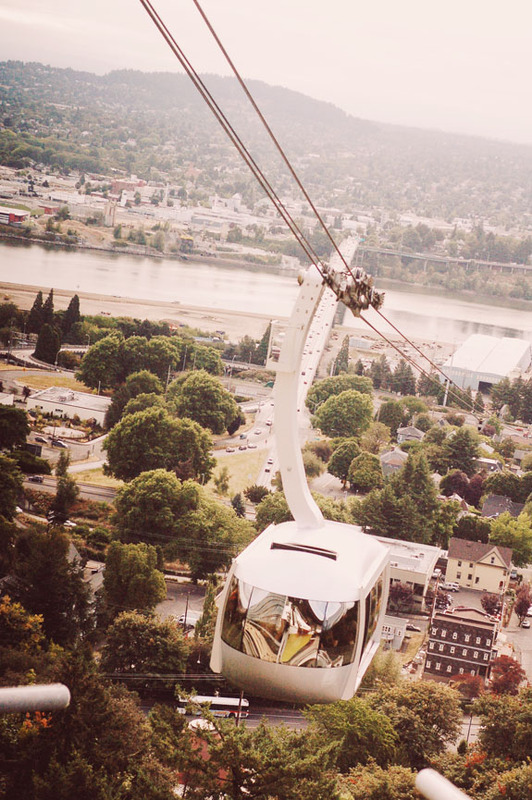 Over 20,000 people ride the tram every day to visit the OHSU campus. 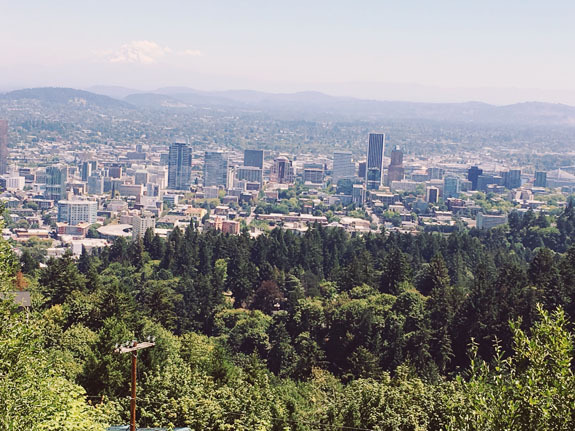 From the top, you can take in a spectacular view of downtown Portland, and the Willamette River (and all the bridges that cross it). On a clear day, you can also see Mt. Hood, Mt. Adams, and Mt. St. Helens. The tram runs Monday-Saturday (except holidays). A round-trip fare is $4.70. For more information about hours and fares, see here. Yes, Pok Pok is hyped, and yes, there's a long wait - and yes, you should definitely go there. 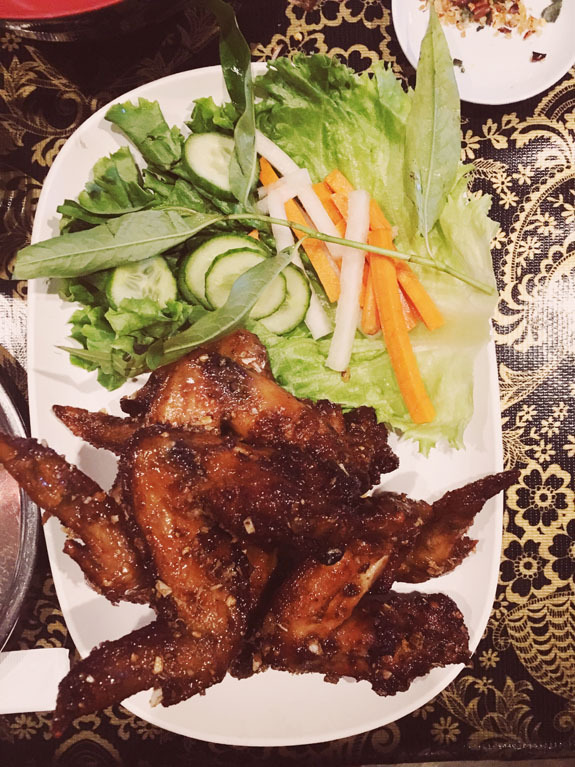 This is one of those places I have to go to every time I'm in Portland - those fish sauce wings are the best, perfectly crispy, with the optimal balance of sweet, savory, and with the slightest bit of sprice. Pok Pok's specialty is Thai street and drinking food, and the stuffed hen, papaya salad, and pork belly are also some of my favorites on the menu. Be sure to get an order of sticky rice on the side. The cocktails here are also legit - the Mango Alexander is my favorite. It was described to me once as "a vacation in a cocktail," and that's kinda the perfect way to describe it. Also, Pok Pok owns Whiskey Soda across the street - you can go here to kill time during the wait (they will call over once your table is ready), or if all you want are the famous fish sauce wings, you can grab them here instead. My first time in Portland, I squeezed in Pine State Biscuits on the way to the airport after eating 2 other breakfasts because I head it was THAT good and I really wanted to try it - and it really was THAT good (I am shocked that I didn't explore afterwards, though). 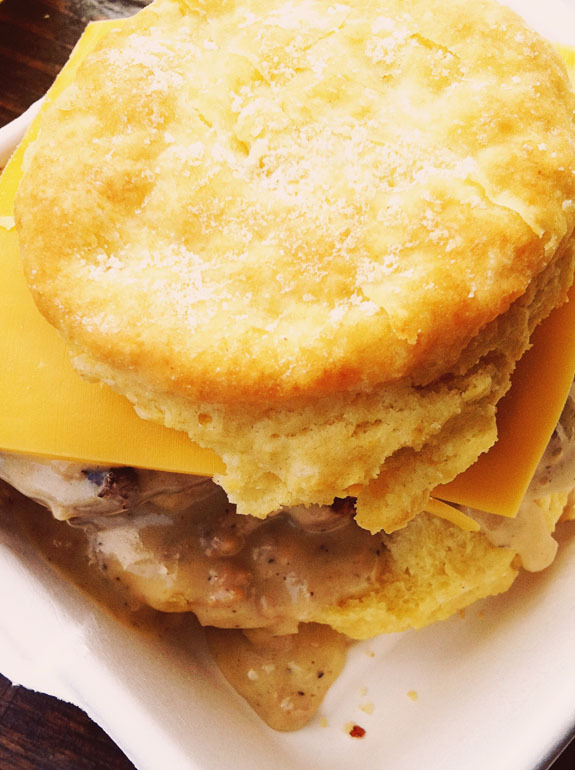 The biscuit sandwiches here are on point - try the Reggie, which has fried chicken, bacon, cheese and gravy. And yes, you should definitely get ready for the food coma afterwards, but trust me, it's worth it! 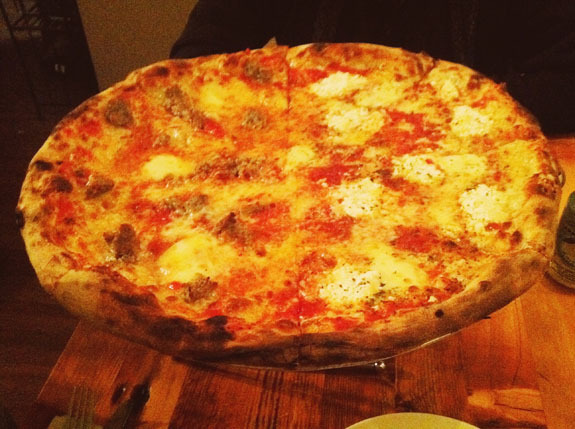 My old boss, who was a pizza snob, once declared this the best "pie" (he was also a native New Yorker) in America. Yes, they definitely have one of the best pizzas I've ever had in my life. Apizza Scholls serves up Neopolitan style pizzas, but what really makes them is the crust. They make the dough in limited quantities, and once they're out they're out, so be sure to come early. There is also usually a wait here - if you need a place to kill time while you wait for a table, check out the Sapphire Hotel down the street for a cocktail. Having lived in California all my life, I am basically a Mexican food snob, so when someone recommended Por Que No to me, I immediately scoffed. I finally gave it a chance though, and I was pleasantly surprised - the tacos here are actually pretty good! (although not as good as the tacos in California, obvi. Because I'm a snob). 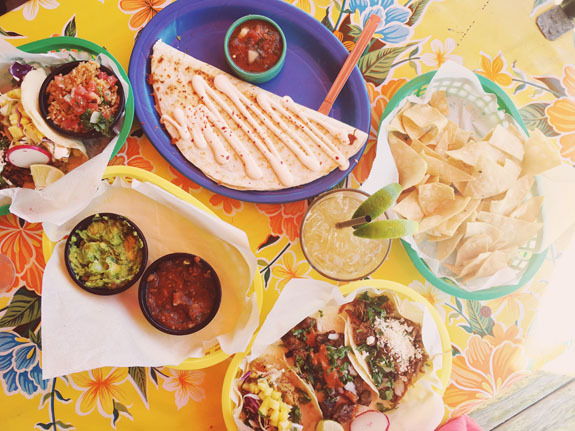 There is a good variety of tacos here, and they all use fresh, sustainable, and locally sourced ingredients. 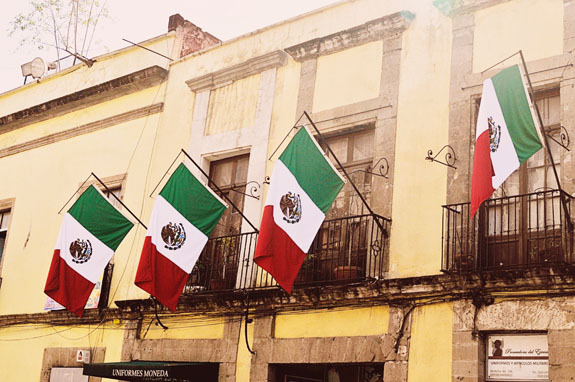 Their sangrias and margaritas are tasty as well, and this is a perfect spot for lunch in the summer. 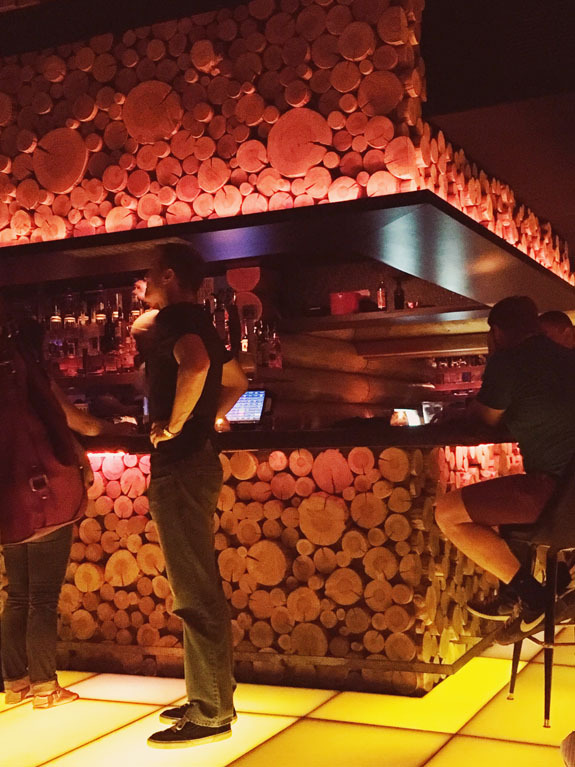 The food is reasonably priced, and the vibe here is laid-back and fun, and I love the eclectic decor as well. 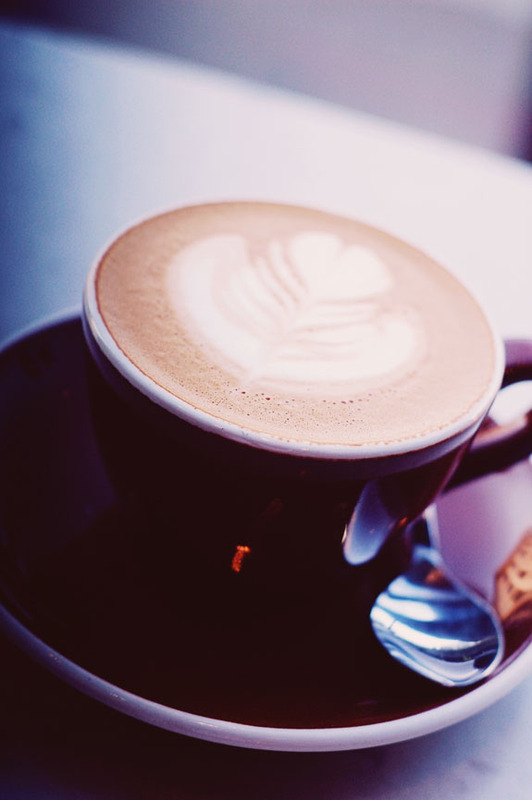 Stumptown may have expanded all over the country, but it all started in Portland - and it still makes a damn good latte. Stumptown's focus is on flavor profiles and direct trade. The baristas here also aren't pretentious assholes like they sometimes are at hipster coffee shops - one of them even gave me recommendations for other great coffee spots in the city. My first stop in Portland usually ends up being here, to fuel me for a full day of exploring the city. 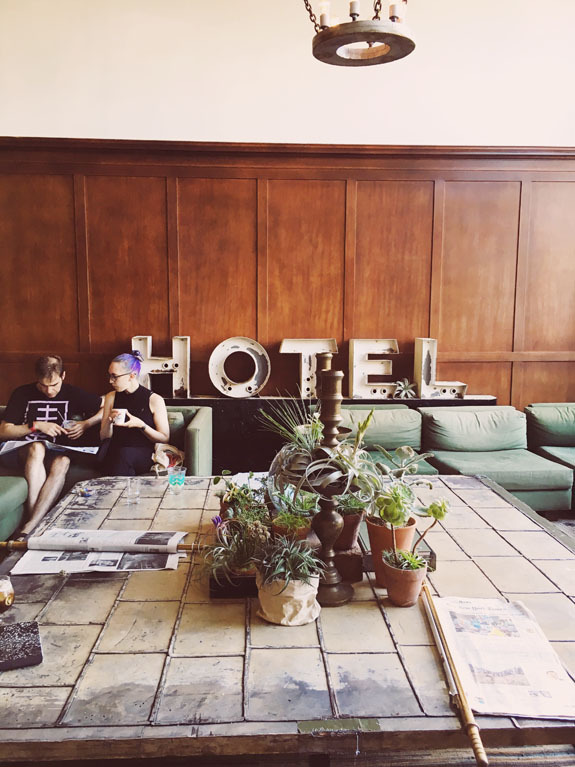 There are locations all over the city, but the one inside the Ace Hotel is my favorite - I like to take my latte into the lobby to sit and people watch. 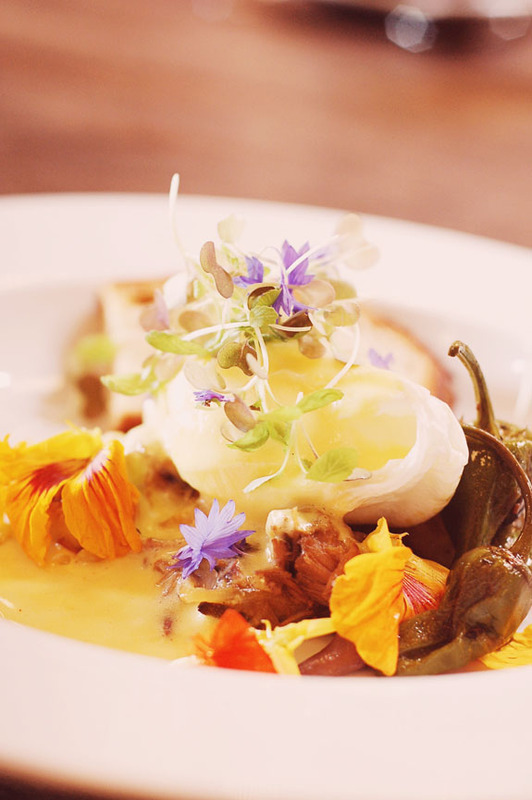 This is one of Portland's most popular brunch spots. Tasty n Sons is known for its inventive "new American diner" cuisine, and puts a Pacific Northwest spin on classic breakfast fare. Be prepared to wait - but it's worth it (and compared to the 2 hours brunch waits in San Francisco, the wait here is nothing). They have a mix of small and large plates, but it is tapas inspired (and you will want to eat ALL THE THINGS on the menu), so sharing is more fun! You can also check out their sister restaurant, Tasty n Alder, which has a similar menu - however, Tasty n Alder is more known for their dinner menu. This was one of the places suggested to me by the Stumptown barista mentioned above, and it was a good one. 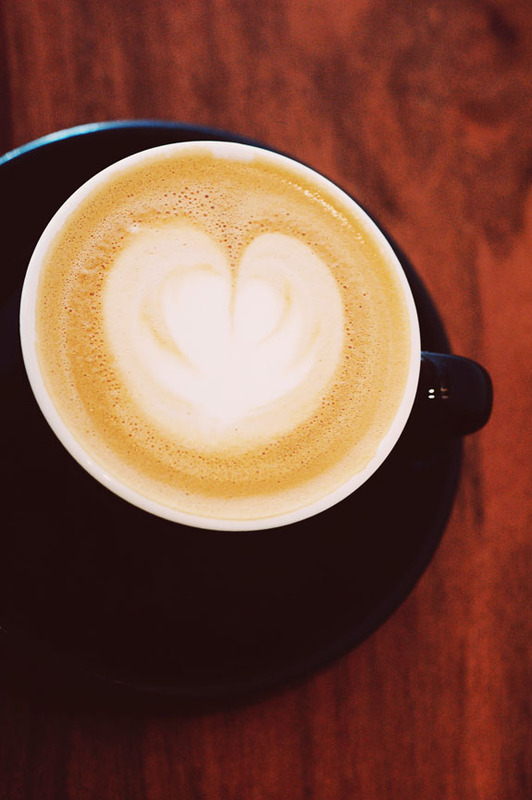 Heart Coffee's focus is on light roast beans from Africa and Central America. Light roast doesn't mean boring, though - the lattes are still full of flavor and perfectly roasty. If you're into AeroPress coffee, apparently the owner of Heart won the international AeroPress competition in 2013 so you're probably in for some good stuff. There are 3 locations in the city, but the one on Burnside has a cool, sleek, minimalist vibe, which I dig. Did you know that there are over 600 food carts in Portland? Most of them are grouped into pods all over the city - the one on 9th & Alder is one of the largest (and conveniently located in downtown and near Powell's). 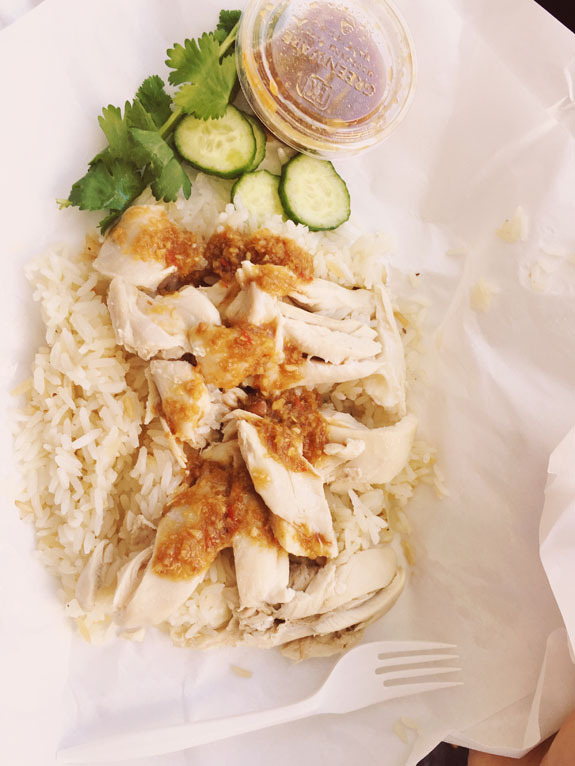 This pod has carts that serve almost anything and everything that you can think of, but my absolute favorite and the reason I keep going to this pod is Nong's Khao Man Gai, which serves up a classic Thai chicken and rice dish that has the most amazingly addictive soy and ginger sauce. They've opened up a bunch of khao man gai places at home in San Francisco to try to replicate this, but I still haven't had one that's as good as Nong's. (PS: if you want to sit down and eat your khao man gai, they've also opened an actual storefront on Burnside). Other popular pods in the city include Cartopia (this one is open late so it's great for a late-night snack - I've stopped by here after a show), PSU pod, Cartlandia, and pods on Third Avenue and Fifth Avenue. Check out this list for more. There is also a street food tour available. 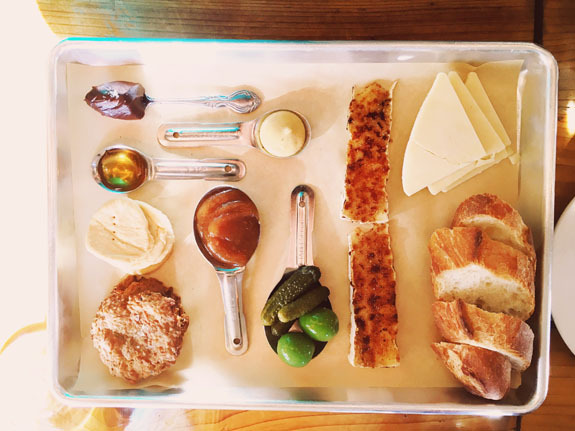 As soon as I saw photos of Cheese and Crack's super cute cheese platters all over the interwebs, I knew I would have to make a trip there. Oh my goodness y'all, aren't these platters just the cutest? Like, it's begging to be Instagrammed. Luckily, the items on them are as good as they look. You choose which two cheeses you want on your plate - I highly recommend the cheddar and brie brulee (with the perfectly caramelized outside - yummm) - and each platter comes with crackers, bread, a cookie, cornichons, olives, dijon mustard, honey, and chocolate ganache. You can add more cheeses, as well as meat and/or pate, to your plate if you wish. Cheese and crack also serves beer and wine, so it's a perfect spot to hang out for a pre-dinner snack and beverage. Yes, yes, and more yes! Beast has had a reputation for being one of the best restaurants in Portland since its opening in 2007, and James Beard award winning chef Naomi Pomeroy is a local legend. Beast has an intimate dining room and only seats 24, with 2 dinner seatings Wednesday-Saturday at 6pm and 8:45pm, along with 2 brunch seatings every Sunday at 10am and 12pm. Seating is communal here, so get ready to get to know your neighbors (it's a bit awkward if you go solo, as I did). Beast has a menu that changes weekly based on what Pomeroy finds in the local markets, and has a meat focus (hence, the name "Beast") - if you are vegetarian or have any dietary restrictions, you must let them know ahead of time. 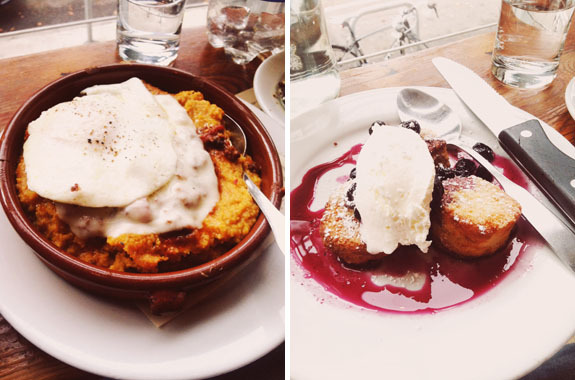 Dinner is expensive, but brunch is a manageable $40 (including gratuity). Each of the 3 courses was absolutely delightful, and it was such a uniquely Portland dining experience. One of the best meals in Portland! Okay, so Voodoo may be the most famous of Portland's donut spots, but it is touristy AF and well, they just aren't very good. Blue Star, on the other hand, is VERY good. The donuts here come in some really fun and unique flavors, such at PB&J, blueberry bourbon basil, passion fruit cocoa nibs, along with other seasonal flavors. These are made using local ingredients, and are always super fresh. Sooooo good. Seriously. Have one, or maybe like 3 during your 2 days in Portland. There are several locations throughout the city, including one at PDX in case you wanted to grab one on the way out. 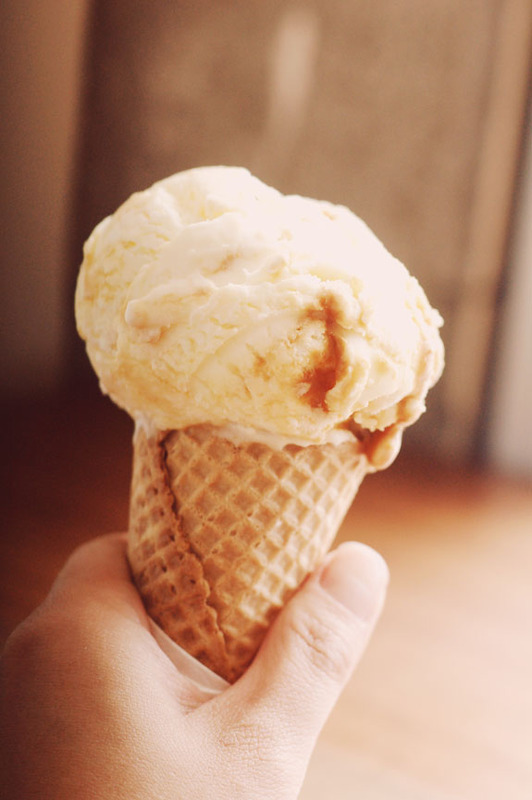 Salt & Straw may have expanded outside of Portland these days (hell, we have two of them here in San Francisco now), but it is a Portland favorite, and the ice cream is soooo good. Salt & Straw's flavor list boats some delicious creations such as pear & blue cheese, Arbequina olive oil, and cinnamon snickerdoodle, along with some creative seasonal selections - at the time of writing, they currently listed Pots of Gold & Rainbows, chocolate caramel potato chip cupcake, and sweet corn & waffle. The sea salt with caramel ribbons is always a classic. I highly recommend ordering a flight, even if you think it's waaaay too much ice cream, because I guarantee that you won't be able to narrow it down to 1 or 2 flavors. So much yum here. Located inside the Ace Hotel, Clyde Common describes itself as serving "domestic and foreign" cooking, and at its core, is a gastropub serving local fare. Clyde Common is cocktail-focused with a hipster vibe, and offers a quintessential Portland dining experience. The dining room is communal style, like at many restaurants in the city. 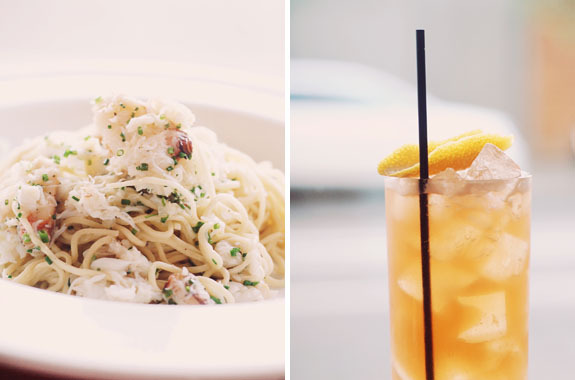 The food is tasty, and so are the cocktails - the negroni is their specialty. If you don't come for dinner, it's worth making a stop for happy hour. Le Pigeon is a bit spendy, but it is worth EVERY. SINGLE. PENNY. 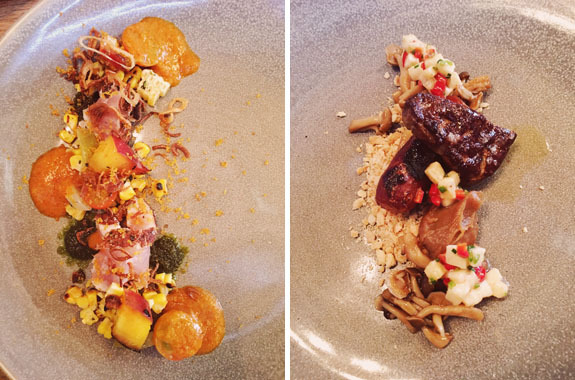 You should definitely consider getting the tasting menu here - every course is perfection, and it is sooooo worth it. A five-course dinner is $85 here, and considering that the entrees all average about $30, it is definitely a good deal, especially when you compare it to a tasting menu of a similar caliber in another major city (i.e. San Francisco or NYC). Keep in mind that Le Pigeon is one of the restaurants joining in on the trend of bundling gratuity into the menu price, AND there's no sales tax in Oregon, so what you see is what you pay. Le Pigeon puts a modern, seasonally-focused, and creative PNW spin on classic French cuisine, and it is upscale without being pretentious. Chef Gaberiel Rucker is a two-time James Beard award winner, and one taste of the food here and it's easy to see why. Trust me, you should definitely treat yo' self here. You'll thank me later. Portland is known for its live music scene, and the Doug Fir is one of my favorite venues, maybe ever. It's got a cool futuristic log cabin vibe, and plays host to a lot of emerging and indie musical acts. Check the calendar to see if there are any shows while you are in town - and if there are, you should definitely go (even if you've never heard of the band - I've done this)! It's a fun spot to hang out after dinner, grab some drinks, and take in some live music. 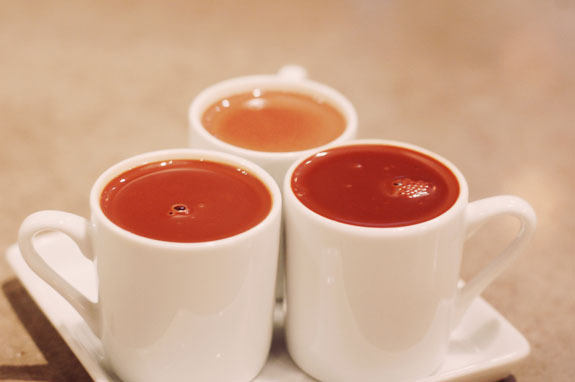 You are definitely coming to Cacao for their rich, decadent drinking chocolate, and yes, you should get a flight. Cacao also sells a selection of gourmet artisanal chocolates, and there is a great selection of single-origin bars, and truffles from a selection of chocolatiers from the Pacific Northwest region. Definitely stop by for a treat! Disclosure: This post also contains affiliate links. This means that if you make a purchase or booking, I may receive a small commission at no additional cost to you. Have you ever been to Portland? 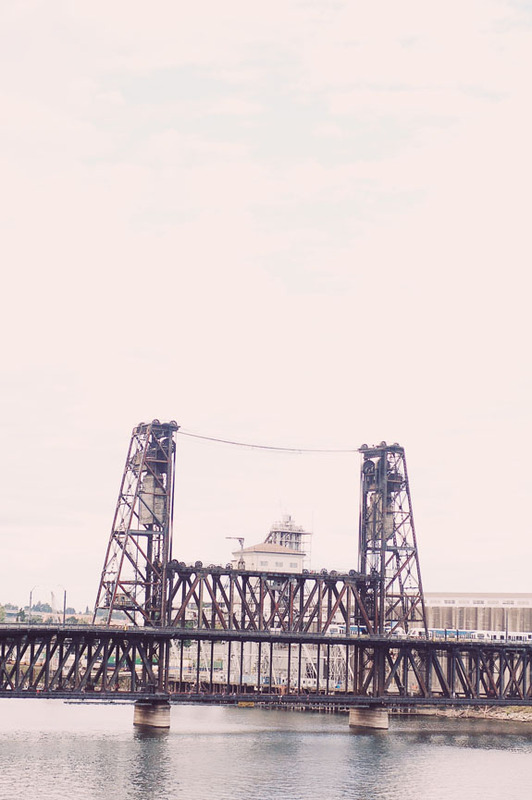 What are some of your favorite things to do in Portland? You make me wanan visit so badly now! Love all the food pictures. The Japanese Garden is one of my faves!!! They have the best view of Mt. Hood and I remember my friends and I were joking about how it low key looks like Mt. Fuji hahahaa. I'm so sad I missed out on Powell's Books and the sandwiches at Pine State Biscuits. Salt and Lick is amazingggg too, great recommendation! Did you tried the pear and blue cheese? I think that one was my favorite. So much to do in Portland! And I love the look of all the sumptuous food & drinnks. Definitely worh a visit! That food looks amaaazing, as does the Japanese gardens. I didn't make it to the States for yeeears, but we now live in Vancouver so it doesn't sound too hard to make it down to Portland from here! I'll try in the summer. I still can't believe I've never been to Portland officially. I think I may have breezed through as a kid...but I clearly need to go back and tackle all these amazing recommendations! Incredible post! What a fun post!! I feel a special connection eith Portland f because it is weird and I’m weird too! And it looks super fun! I would love to check out that bookstore or the mansion or the roes garden. Okay so basically I wanna see all of Oregon like you said, in June. And thank God it rains but not super hard!! I had so many things going through my head while reading your post...wow, yum, cool, YUM, beautiful! 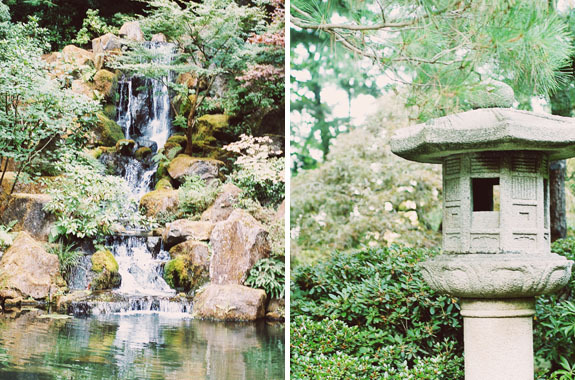 The Japanese Garden is gorgeous and Portland definitely seems like a good foodie city! I have literally spent about an hour in Portland when the Coast starlight stopped there on our way to SF! I so want to see more! Will pin so when I do go I have a great guide! Ohh I need to visit Portland! Great post and amazing photos - as always! Love, love, LOVE the way you edit them! We want to live here someday :) Excited about the coffee scene there! Wow, such a detailed and informative post - thank you! I want to go to Portland again just to eat! 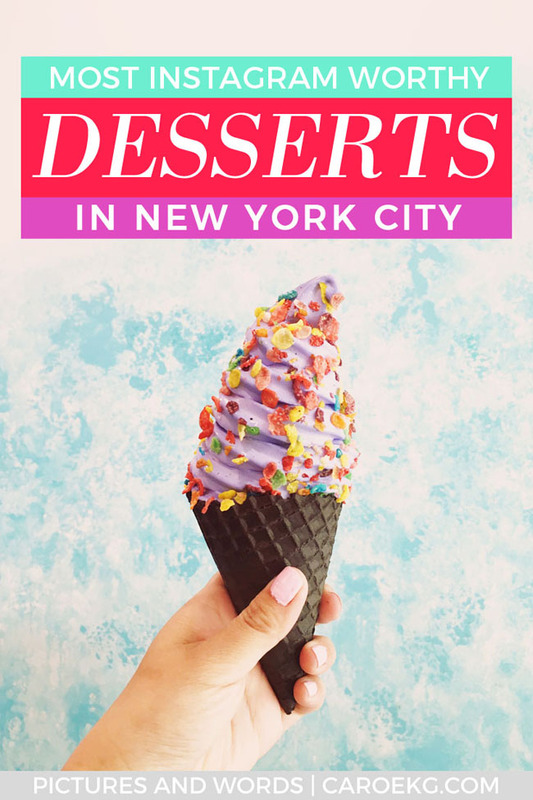 All these places you described and all the food photos - omg, yum! Ahh, I'm drooling over your restaurant recommendations! Unfortunately, I've not made it to Portland but hope to. Portland seems like such an amazing city! With all those food recommendations I don't think I just want to visit...I want to live there! Thanks for this comprehensive guide. 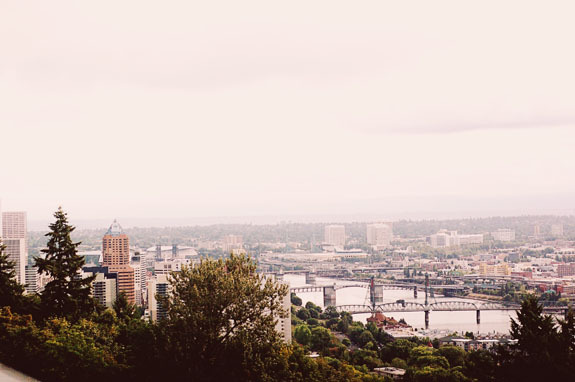 Portland sounds like my kind of place and I love the cafes and boutique hotels you've included. Will def bookmark this for future trips. This is such an awesome guide to Portland! We will be visiting for a couple of days next year and will definitely be taking lots of your recommendations - especially when it comes to breweries! What a great, detailed itinerary! Saving this for my next trip to the US :) Thanks for sharing! Man, everything I see about Portland makes me want to visit! I'm hoping to visit there this year as I'm planning to spend a few months in Canada and hop over to the States from Vancouver. :) This is a great guide, thank you! Heading out that way this year so this post will come in handy. I've heard about the amazing food but one meal at Le Pigeon followed by the flight at Cacao and I'd call any trip a success :-) They look and sound unreal! What a great post, all of those amazing food recommendations have my mouth watering and definitely dreaming of a Portland trip! Portland looks like such a fun city to visit. 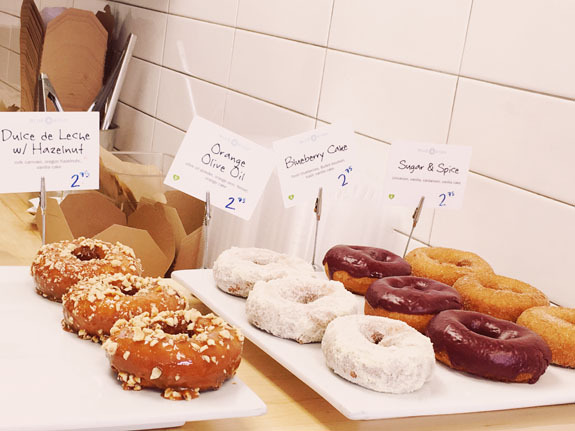 Any city known for its coffee and donuts is a winner in my book! 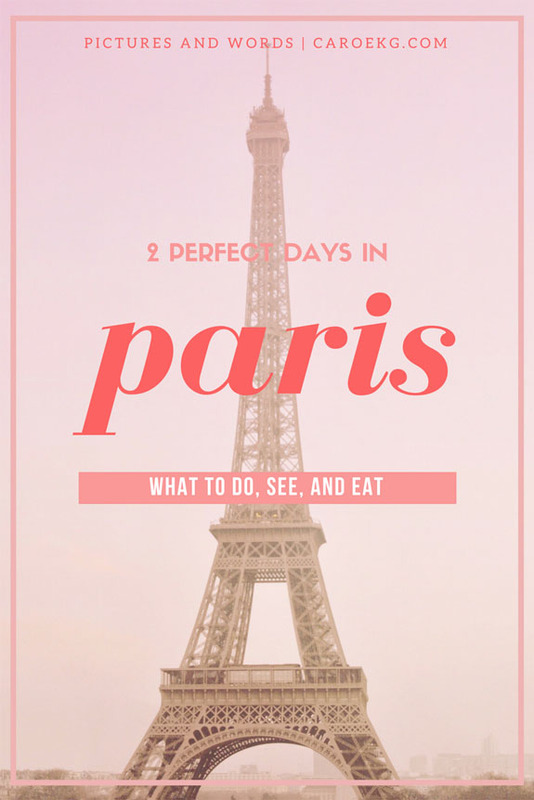 :) Excellent guide - will definitely be saving for our own future visit! Ive never been to Portland (or the pac NW) but i want to go for the food alone! Great post! I have a friend who lives in Portland! Now I know exactly what to do when I visit!! You have the best guides to cities! I've been dying to visit Portland. I feel like a crazy person who's still never been! This just made me want to go even more! Did you say food tour? I'm in! And brewery visits? I need to go! I only visited California when I visited the US. PS. 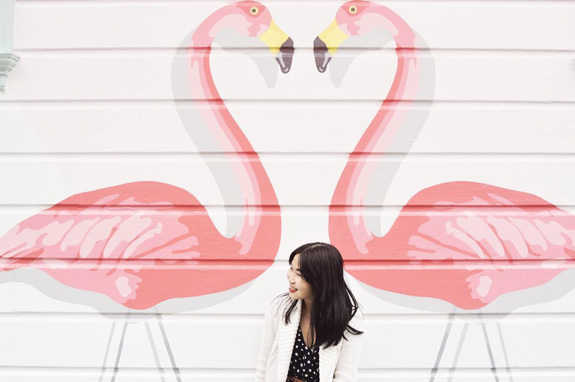 Love the vibe of your photo editing! Portland sounds like an amazing city to visit! I would definitely prefer to visit during the summer even though it’s high season. It’s hard to enjoy a place if it’s raining the whole time. The food alone looks like it’s worth a visit!!! Por Que No!!!! YUM! Actually, it's on top of my list for my next trip to the States, so these tips are really very well welcomed. Thank you! Oh I love Portland! Haven't been in years though. I've never been in the summer, which I'm sure would make me love it even more. Thanks for this great guide! 50 Licks ice cream was awesome, and so was Coava roasters! OH WOW. 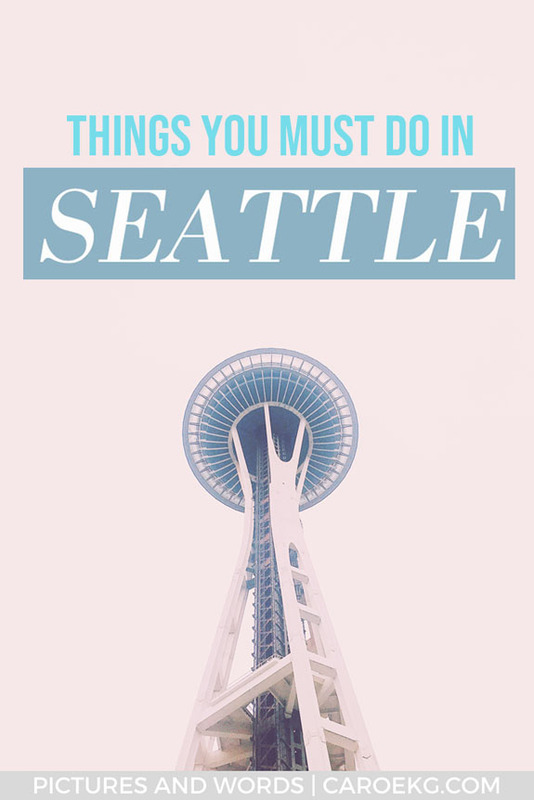 This is a great list and you hit all my hometown favorites! LOVE Pok Pok and Por Que No! I would only swap out Barista in the Pearl for Stumptown - I just like it better! You have seriously made me homesick - and hungry! Cheers from this Oregon Girl Around the World in Copenhagen.